The Solaria PowerXT features a striking black on black look, perfect for any rooftop. 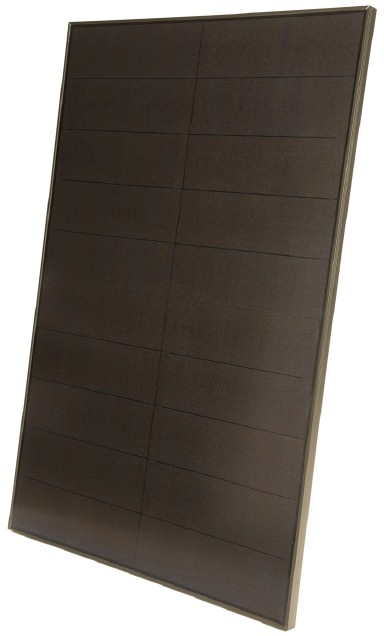 We are pleased to announce that we are offering the Solaria PowerXT solar module now. This premium solar module combines a cutting edge microinverter from Enphase with a high-efficiency solar module into a factory assembled AC module. Household AC power is produced right at the panel with no separate power conditioning device to convert DC to AC. Aesthetically pleasing black cells, backsheet, and frame. A true black on black solar module. Safe and efficient AC module meeting new rapid shutdown requirements out of the box. Super high efficiency (over 10% more power output than standard modules). Industry leading 25-year product and power output warranty from a single provider for module and electronics. Built-in monitoring using Enphase’s industry leading Enlighten monitoring web portal. Available at a great value due to reduced installation time, parts quantity, and logistics. The PowerXT is a 60 cell solar panel, but you would never know it by looking at it. They have decreased the gaps between cells for a great look while increasing efficiency. The power output per unit of area is 10-20% higher than conventional solar modules. Solaria is based in California and manufactures solar panels in the US and South Korea. They recently made a big investment in production capacity, making them a rising star in the industry. If you are looking for a US-based manufacturer of panels, this is a good option for you. Also, because we have so many hip roofs in Southwest Florida, the unique PowerXT helps us get more panels on roofs and looks great doing it. The panels are a bit shorter and a bit wider than traditional solar panels. Panels that are more “square” fit better on a hip roof, and look great on any roof. The engineering work is done and they are shipping now, so we are ready to offer the PowerXT now and expect it to be a great seller.